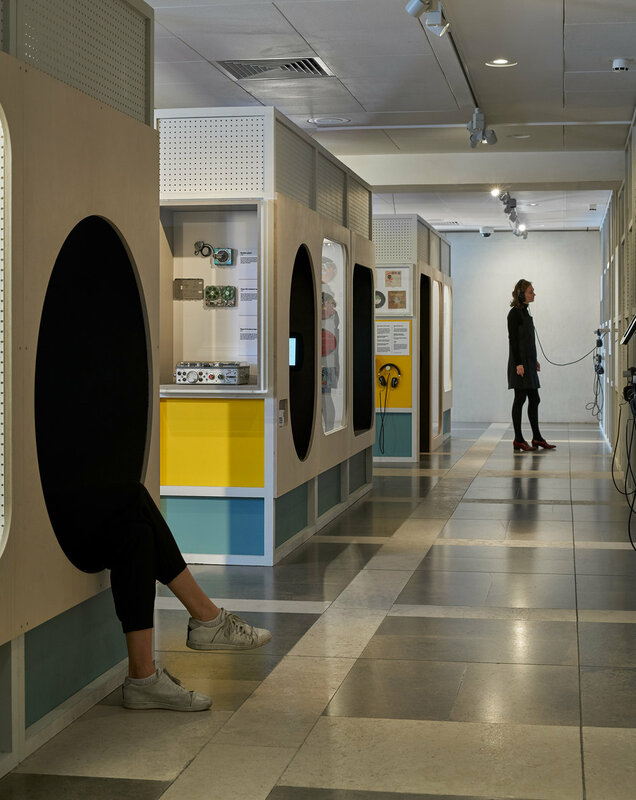 Displaying the extensive British Library’s sound archive, this exhibition explores the story of sound recording and radio broadcasting, and the impact each had on society in the last 140 years. 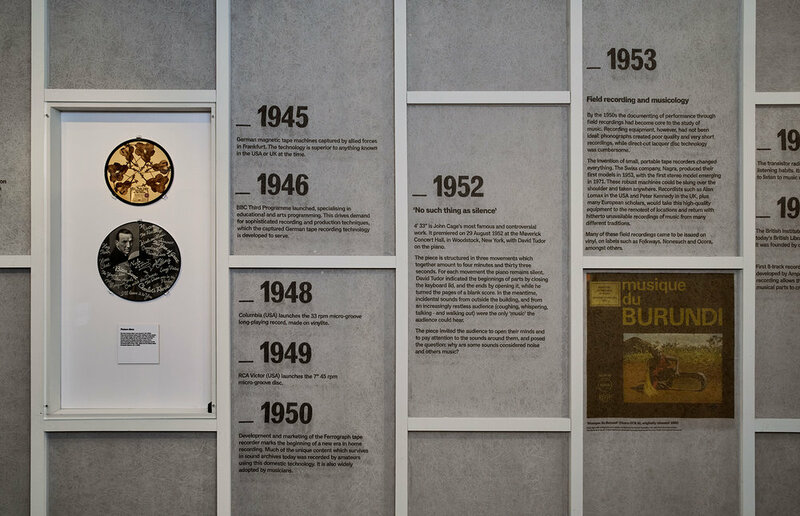 On a 20m sound proof wall, a timeline showcases various media ranging from objects, to audio displays and images. The graphics printed on a transparent voile allow visitors to discover the insulation material at the back. 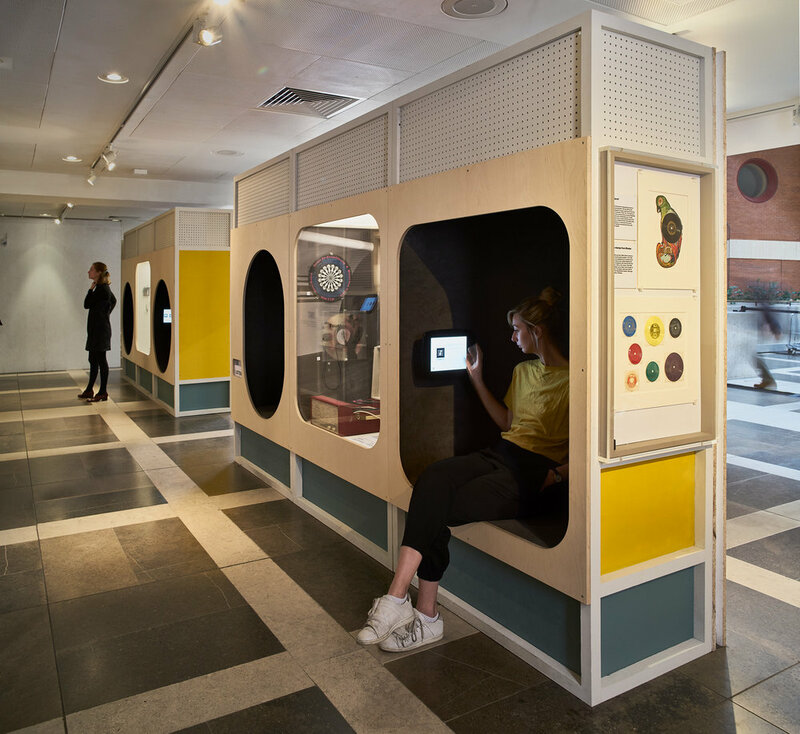 People are also invited to sit within specially created listening booths that surround the showcases. A focus on providing smaller audio environments within a larger collective space aims to create a feeling of listening as a way of bringing people together through shared engagement.